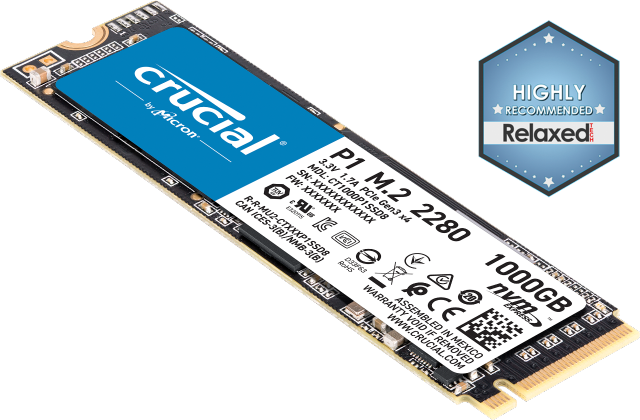 The Crucial BX300 SSD is a legacy product and is no longer available. Ever wonder why your phone works as soon as you push a button, yet your computer takes forever? The reason is simple: Your phone runs on flash memory technology, while your computer runs on an outdated hard drive. It’s possible – in fact, it’s easy – to get the same near-instant speed you expect from your phone out of your computer. Upgrading to the Crucial BX300 SSD is perhaps the easiest way to get all the speed of a new computer without the price. When we say it’s easy, here’s what we mean. Run your computer cooler, quieter, and faster with 45x the energy efficiency of a typical hard drive – and extend your laptop’s battery life.2 Reducing system temperatures also helps lengthen the life of your computer and the components within it, which is an inherent advantage of SSD technology. Since SSDs don’t use small mechanical parts that are prone to failure like you’ll find in hard drives, they’re an easy way to improve the health and efficiency of your computer. Opening your computer and updating your storage drive can seem complicated and intimidating if you’ve never done it before, but our straightforward, easy-to-follow instructions and videos make it so anyone can install an SSD! 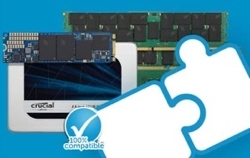 Millions of people worldwide have chosen a Crucial SSD – it really is easy. Booting up, loading things, and transferring and saving files aren’t complicated actions, but a slow and outdated hard drive makes them take forever. SSDs use new flash storage technology to make your computer work almost instantly. You don’t need a new computer – just the Crucial BX300 SSD.